Hola bellas!!!! As promised and as I announced on my Facebook page, here I'm again with another exciting giveaway. I'm extremely thankful for Rimmel London for such a nice gesture and sponsoring one of the huge international giveaway. I'll be choosing FIVE winners randomly and they will be getting Rimmel London Goody Bag Worth more then $100 containing Rimmel London NEW Moisture Renew Lipstick Collection and other latest products. How exciting is that?? 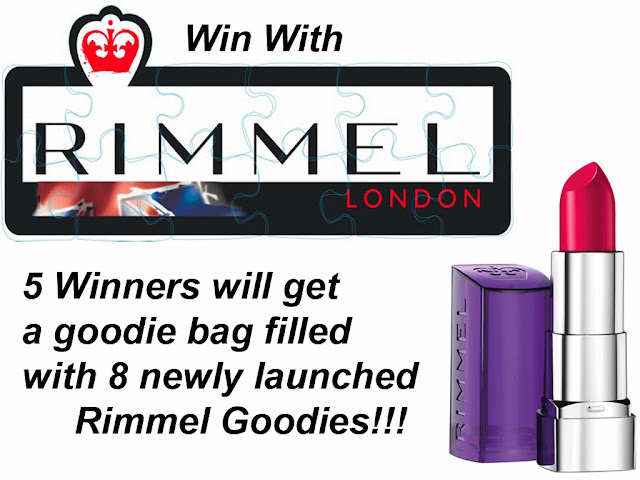 36 comments on "Win 5 Rimmel London Goody Bag Worth Above $100 [International Giveaway]"
I like gray and white colors for winter. I like red orange too. I like gray & white colors for winter. I also like red orange too. Thank you so much for this generous giveaway! I have followed all step :) Hope to win! I have commented many times. My favorite shade is hot pink because it gives me gorgeous look in winters. 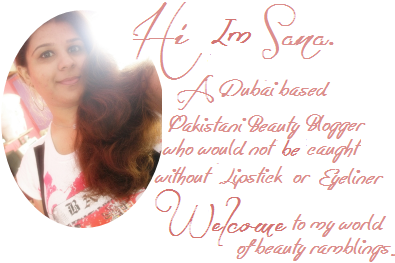 I like Rimmel London's Vintage Pink, I this it is soft and beautiful shade for this season! To me it is perfect to go to university because it is discreet! Thank you for such a nice giveaway , i also love your blog , i just stumbled across it . I would love to see more of your make up tips maybe some herbal tips will be great as well! i simply luv rimmel's products luv their mascara eyeliners lip glosses waiting for this hamper !!! looked like a great giveaway. Too bad I missed it.